We would like to invite you to another concert in the new series of musical events at Wrocław Contemporary Museum. The programme of the cycle focuses on experimental sound practices aimed at multi-aspect perception of space. The starting point for the entire project is the untypical architecture of the air-raid shelter in which MWW is based. 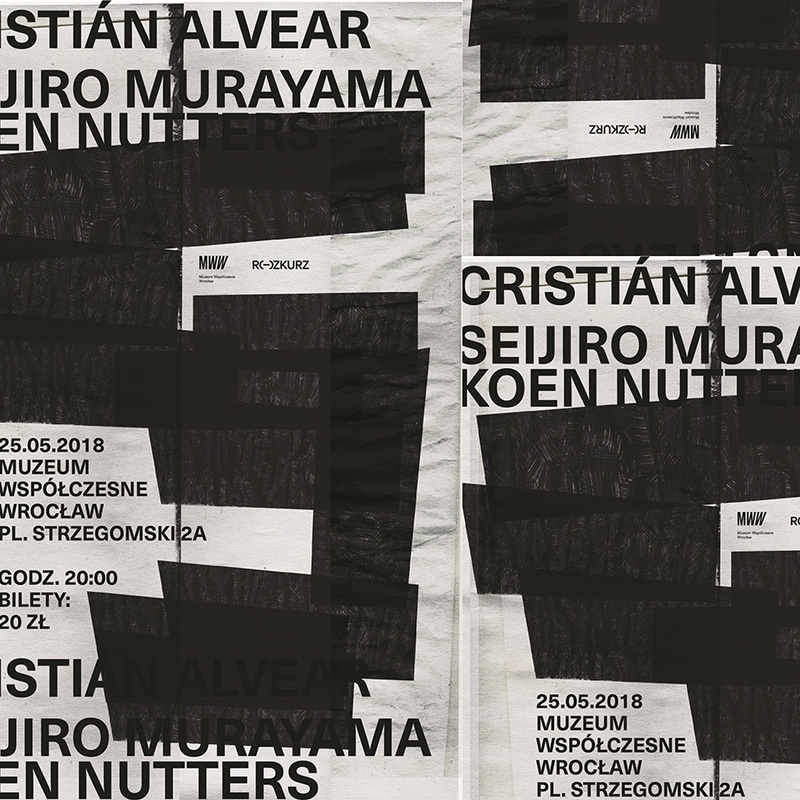 On 25 May we will have an opportunity to listen to a concert by the Karoujite duo, which is made up by Cristián Alvear and Seijiro Murayama (last year they had their outstanding album released by the French label Potlatch), and Koen Nutters’ newest composition Trio for Memories performed by Alvear, Murayama and Nutters himself. A Chilean musician dedicated to the performance, premiere and recording of experimental and contemporary music. He serves as curator of the experimental music festival Relincha in Valdivia, Chile, and he conducts, along with Santiago Astaburuaga, LOTE, an ensemble whose work is based on performing and premiering experimental scores. Constantly performing in Chile as well as at international festivals and concert venues in Europe, South America and Asia, over recent years he has concentrated his efforts on educational concerts in rural areas of the Los Lagos region in southern Chile. His work has been released by Edition Wandelweiser Records (DE), Irritable Hedgehog (US), Another Timbre (UK), Potlatch (FR), 1000Füssler (DE), Mappa (SK), Lengua de Lava (MX), Caduc (CA) and B-Boim Records (Austria), among others. A drummer who is considered to be one of the most outstanding Japanese improvisers. Having graduated from Tokyo University in 1982, he and Keiji Haino left for the USA as members of the renowned Fushitsusha ensemble. After returning to Japan he performed in the noise-rock band K.K. Null A.N.P. (Absolute Null Point) while simultaneously being active in the sphere of free improvisation. His move to France resulted in permanent cooperation with musicians such as Jean-Luc Guionnet, Éric Cordier, Michel Doneda, Mattin, Lionel Marchetti. In 2013, after living in Europe for over 10 years, he moved back to his home country. Murayama’s practice is clearly multidisciplinary in character, because the artist is willing to combine music with other art forms (dance, video, painting, photography, literature, etc.). His performances are marked by large attention to the dramaturgic structure and a multi-sensory perception of silence. A Dutch composer and instrumentalist whose practice revolves around the sphere of post-Cage experimental music. A graduate of the Royal Conservatoire of The Hague and The Conservatorium van Amsterdam. Since 2010 he has led the group Konzert Minimal, whose repertoire includes mostly pieces by composers associated with the Wandelweiser collective. He is also an active member of music projects such as The Pitch (with Morten Olsen, Michael Thieke and Boris Baltschun) or Post-Music Ensemble (with Lucio Capece, Heather Frasch and Joseph Kudirka). He organises the series of concerts DNK-Amsterdam. He lives in Berlin and Amsterdam.